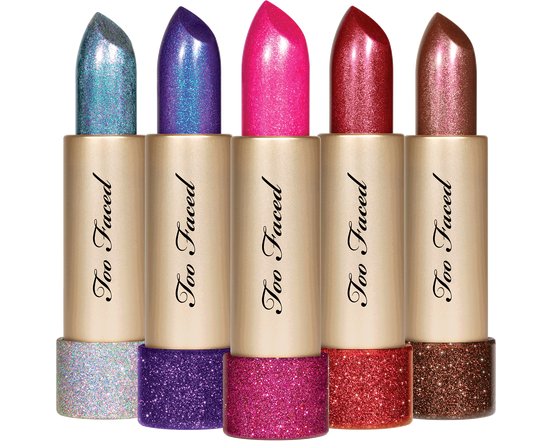 If you are a lover of metallic lips look no further than the new 20th Anniversary Collection from Too Faced. Talk about sparkle! There are 10 in the range, shown here is my favourite MISS THING which as you can see is a beautiful Pale Rose Gold Metallic. 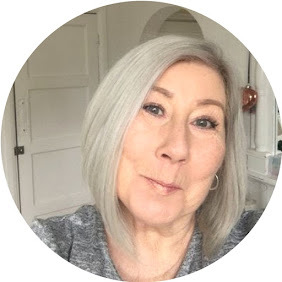 On first glance you would expect a lipstick with such a huge amount of shimmer to feel gritty and rough, not so with this formula, it's smooth and comfortable to wear the colour pay off is crazy, the swatch shown here was literally one swipe. A throwback from the original days of Too Faced when it was all about the glitter these lipsticks are reformulated for 2018 and are nothing less than stunning, from the glitter box to the super glittery case. This new creamy formula will have you falling in love from the first application. As always with Too Faced Vegan and fiercely Cruelty Free.